European leaders in Optics, Radiall has designed, manufactured and delivers a range of high performance Optical interconnect Solutions. S-Light & D-Light product family of Optical transceivers for short distance optical communications within severe environments. 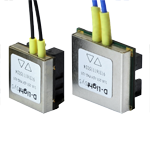 Designed for applications including Avionics, Defence Radar & EW, Space, Transport, Oil, Gas & instrumentation, Radiall transceivers exhibit superior, high speed optical performance over the entire temperature ranged (-55 to +125 Degree C), achieved by current optimisation unlike other production on the market today. Risk free design & implementation, this products has already being extensively used on aircraft & radar systems by European Primes & OEM’s. Designed and manufactured in France this product is not subject to ITAR regulatory conditions, ITAR Free. The S-Light range includes single channel optical transceivers for harsh environment applications and are available in transmitter, receiver and transceiver modules. Several package options are available including, surface mount, pluggable and custom packages. Products according to IEC 60825-1 standards. The D-Light range includes multi-channel optical transceivers for harsh environment applications and are available in transmitter, receiver and transceiver modules with 4 channels (4 Rx + 4 Tx). Several package options are available from surface mount to pluggable packages. Multiple channel transmitters are available in 2, 4 or 12 channels with surface mount, through holes or pluggable package options. The Multiple channel receivers are available in 2, 4 or 12 channels with surface mount, through holes or pluggable package options. The Multiple channel transmitters are available in 2, 4 or 12 channels with surface mount, through holes or pluggable package options. 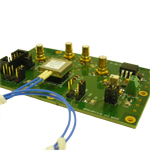 Radiall offers a full range of evaluation boards enabling full monitoring of S-Light and D-Light modules, either for the pluggable package or for the LCC package. A Windows PC-Based software is available for complete module monitoring and control. 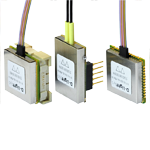 SATEL-LP expansion modules offer direct connection of common industrial signals to the SATEL-LP radio modules, eliminating the need for RTU or PLC devices. Expansion modules are hot swappable and up to 32 expansion modules can be added to one SATEL-LP radio module. Mesh networks with up to 250 nodes. Easy point-to-point or network structures such as line, star or mesh. The ROJ-E317 product is a high performance integrated UHF transmit/receive multi-coupler system in a single enclosure suitable for 19 inch rack mounting. The hybrid combining technology drastically reduces the size of an overall system compared to traditional cavity based and multi-section filter type systems while still maintaining high levels of performance. All loads for the combiners are included inside the equipment as well as a highly flexible, reliable and efficient DC-DC power supply. Two simultaneous 50 W transmit signals (Tx1, Tx2) can be applied to the equipment and combined for transmission onto a single external antenna (consult Rojone for suitable antennas). The same antenna can be used to receive signals at different frequencies to the transmitted signals with the equipment coupling out four copies of the received signal (Rx1, Rx2, Rx3, Rx4). This combined transmit/receive setup allows for easy integration with a wide range of communication systems and applications such as multichannel voice and data transmission systems, base stations and repeaters. Rojone offers a range of in-house designed amplifiers specifically designed for unique applications and customer requirements. Here are a selection of Rojone custom designed amplifiers for recently completed projects. Developed exclusively for GPS applications, Rojone’s Amplifiers and DC Feed are high performance devices designed to boost GPS signals for long range transmission or to overcome noisy environments. They can also be used as D Feeds for GPS antennas. The DC thru can be regulated or bypassed to the antenna for 5V systems. SATEL specializes in designing and manufacturing radio modems for long range wireless data transmission. For over 20 years, our cornerstones have been RF performance, reliability and local service; our distributor network serves you in over 100 countries. High RF sensitivity enables a SATEL radio modem to range across tens of kilometres. The RS-232 / 485 / 422 based SATELLINE radio modem family has proven its reliability in applications ranging from Mt Everest to nuclear power plants and from professional motor sports to runway telemetry at airports. This is Satel’s latest development; it is a state-of-the-art transceiver radio modem providing a compact & flexible solution for many different long range applications. SATELLINE-EASy features 70MHz tuning range (403-470MHz), selectable Channel Spacing, Low Power consumption with a range of voltage levels, and has been approved by the ACMA for use in Australia.